Mother Nature finds her resting place in this wintery scene. 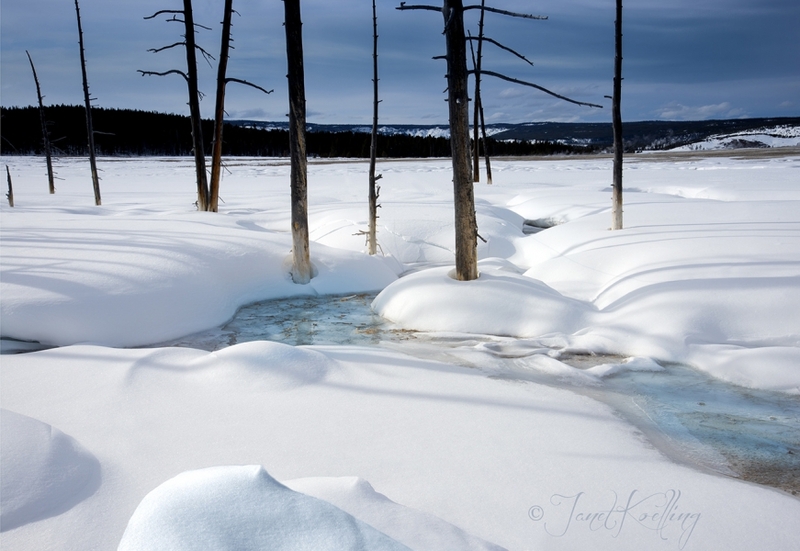 Feminine images of beauty reside in the snowy drifts, sparkling water, while awaiting the new life of Springtime. Shadows and light play upon the curves and lines inviting the viewer to breath and ponder.